the sample is absolutely beautiful, what design to have embossed and I know it's going to work just great. I love the colors too, and just thought I would let you know it came through fine and thank you very much for being so generous. Thank you so much for this post. 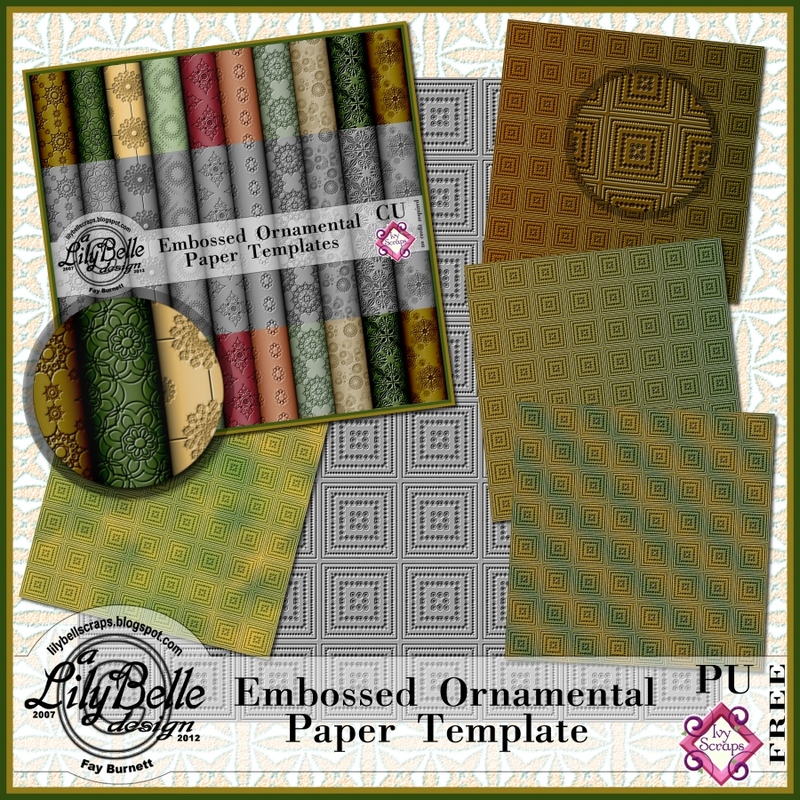 I want to let you know that I posted a link to your blog in CBH Digital Scrapbooking Freebies (please, notice the new url for my blog), under the Page 6 post on Jul. 27, 2012. Thanks again. myscrapbook says: Thank you for the embossed papers and template. Very nice.